Hungary’s new energy strategy, the National Energy Strategy to 2030, published in 2012, was a major step in formulating a long-term vision for government policy in the sector. The main objective of the strategy was to ensure a sustainable and secure energy sector while supporting the competitiveness of the economy.Mindful of high energy costs and their impact on family incomes, the government initiated a policy of mandatory price cuts to reduce household energy bills. While the short-term impact has been a reduction in energy bills, in the long term, this policy may damage national competitiveness. Renewable energy production has increased significantly in the last decade but growth in the sector has slowed. Recent reforms and the introduction of a new support system for electricity from renewable sources could arrest this slowdown. On the other hand, measures that limit wind power developments are likely to have a negative impact on the sector.Greenhouse gas emissions have declined as the economy has become less carbon-intensive. Nonetheless, the country could adopt more ambitious targets for emission reductions. Energy security has been strengthened and there have been a number of large investments in oil, electricity and natural gas infrastructure. 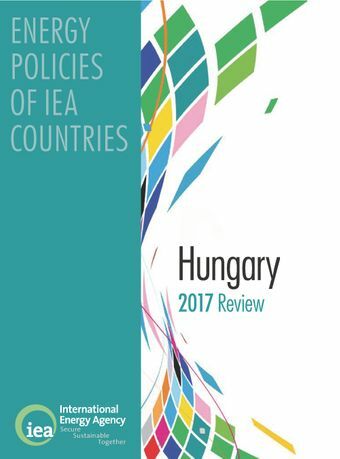 Further investments are expected, notably the construction of two new nuclear power generating units.This latest review of Hungary’s energy policies, the first since 2011, examines the current energy-policy landscape and makes recommendations for improvements. These recommendations are intended to guide the country towards a more secure and sustainable energy future.